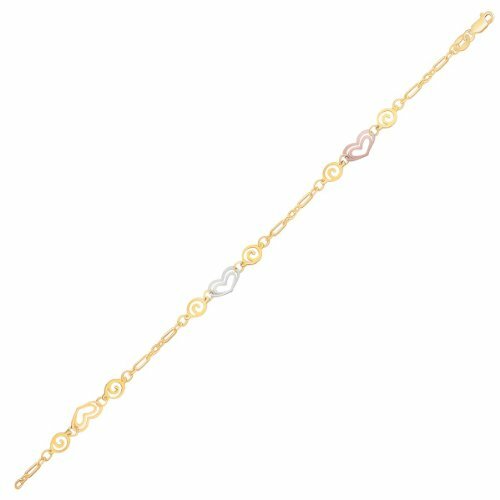 This 10" anklet has many elements to fall in love with. These include the heart stations in different tones of 14K white, rose, and yellow gold and the lovely spiral designed round shapes. A lovely addition to a jewelry collection secured with a lobster style clasp .